Owners say outdated liquor markup system is crushing their ability to expand in Utah. 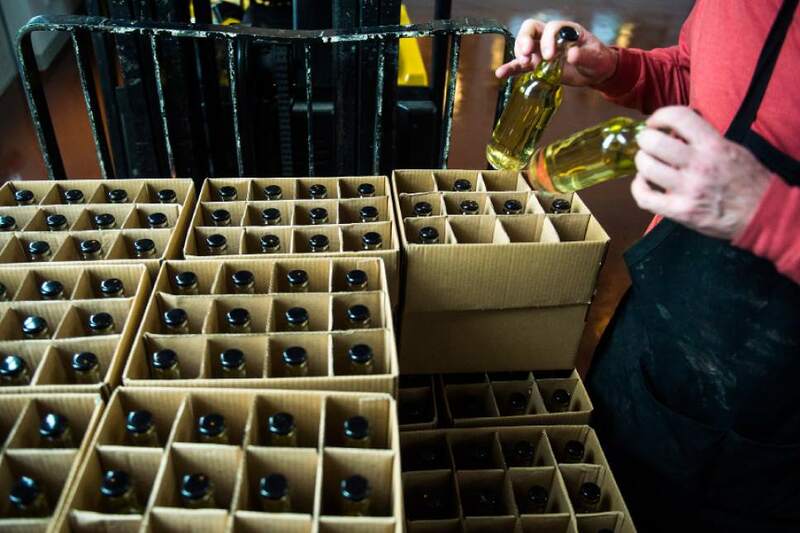 Chris Detrick | The Salt Lake Tribune Cider maker Joel Goodwillie labels bottles of 7 Mile Session Hard Cider at Mountain West Hard Cider on Wednesday, March 22, 2017. 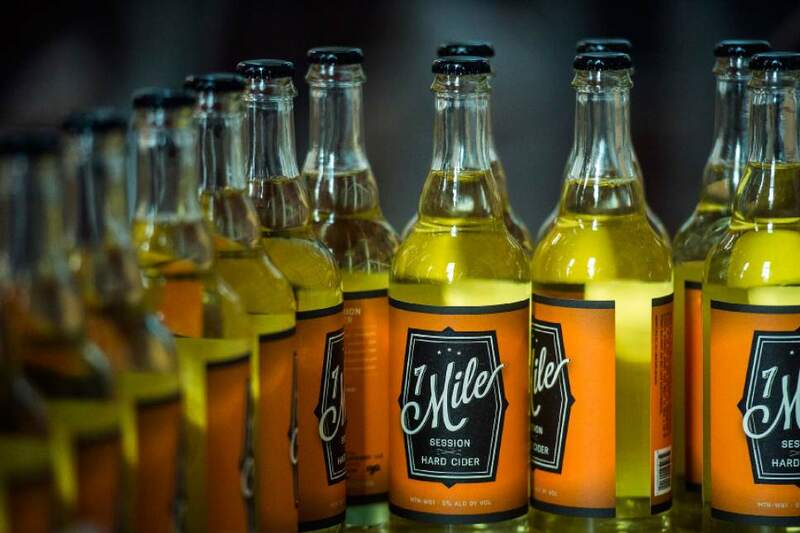 Chris Detrick | The Salt Lake Tribune Cider maker Joel Goodwillie labels bottles of 7 Mile Session Hard Cider at Mountain West Hard Cider Wednesday. March 22, 2017 Chris Detrick | The Salt Lake Tribune Cider maker Joel Goodwillie labels bottles of 7 Mile Session Hard Cider at Mountain West Hard Cider on Wednesday March 22, 2017. Chris Detrick | The Salt Lake Tribune Cider maker Joel Goodwillie labels bottles of 7 Mile Session Hard Cider at Mountain West Hard Cider on Wednesday, March 22, 2017. Chris Detrick | The Salt Lake Tribune Cider maker Joel Goodwillie labels bottles of 7 Mile Session Hard Cider at Mountain West Hard Cider on Wednesday, March 22, 2017. 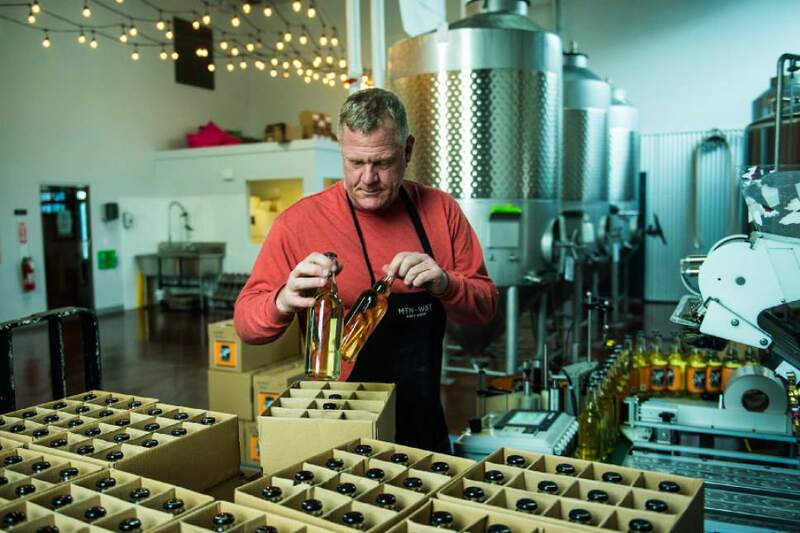 Chris Detrick | The Salt Lake Tribune Cider maker Joel Goodwillie labels bottles of 7 Mile Session Hard Cider at Mountain West Hard Cider on Wednesday, March 22, 2017. 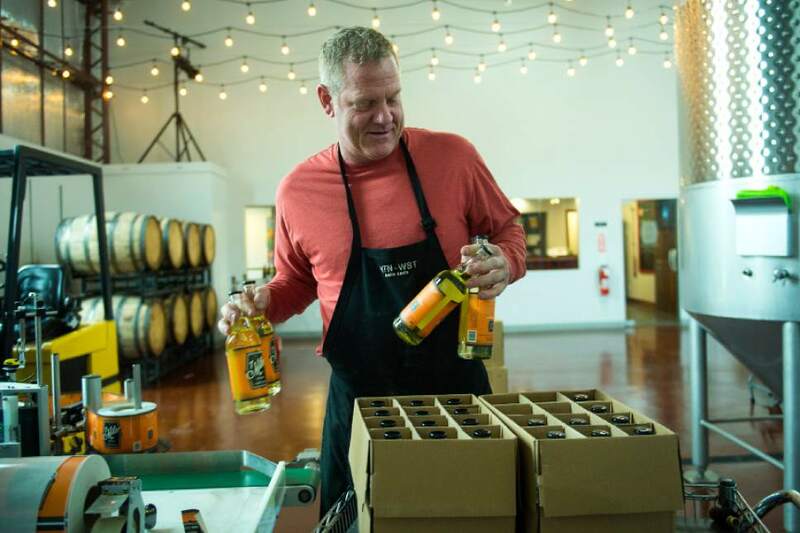 Chris Detrick | The Salt Lake Tribune Cider maker Joel Goodwillie labels bottles of 7 Mile Session Hard Cider at Mountain West Hard Cider on Wednesday, March 22, 2017. 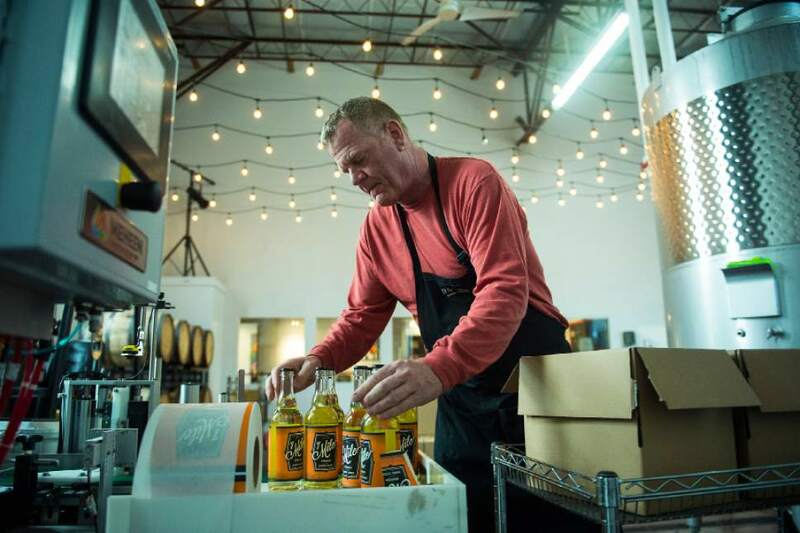 Chris Detrick | The Salt Lake Tribune Cider maker Joel Goodwillie labels bottles of 7 Mile Session Hard Cider at Mountain West Hard Cider on Wednesday, March 22, 2017. 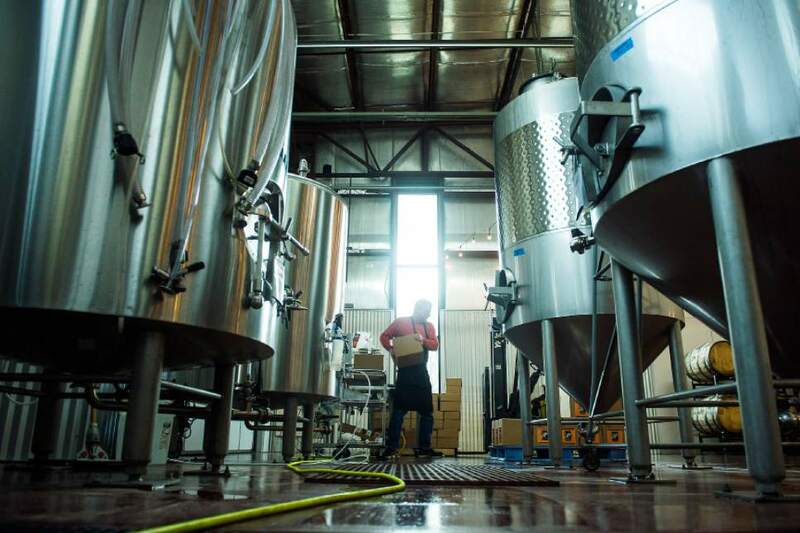 Utah&apos;s first and largest hard-cider maker may have to move some of its production to Nevada, the owners say, because the state&apos;s liquor markup is crushing its ability to expand. Mountain West Hard Cider owners Jeff and Jennifer Carleton say it&apos;s a drastic measure but their only option if they want their fast-growing business to make a profit. "Paying the markup has forced us to meet with the leaders of economic development in Mesquite," said Jeff Carleton, adding he&apos;s considering the expansion by the end of the year. The root of the problem, they say, is that the Utah Department of Alcoholic Beverage Control (DABC) puts hard cider in the same category as wine. Considered as a small producer  making less than 20,000 gallons per year  Mountain West pays a 47 percent markup to the state on every bottle of hard cider. That means for every $6 bottle of Mountain West hard cider sold, more than $4 will go back to the state, leaving little left to cover production costs, said Carleton. 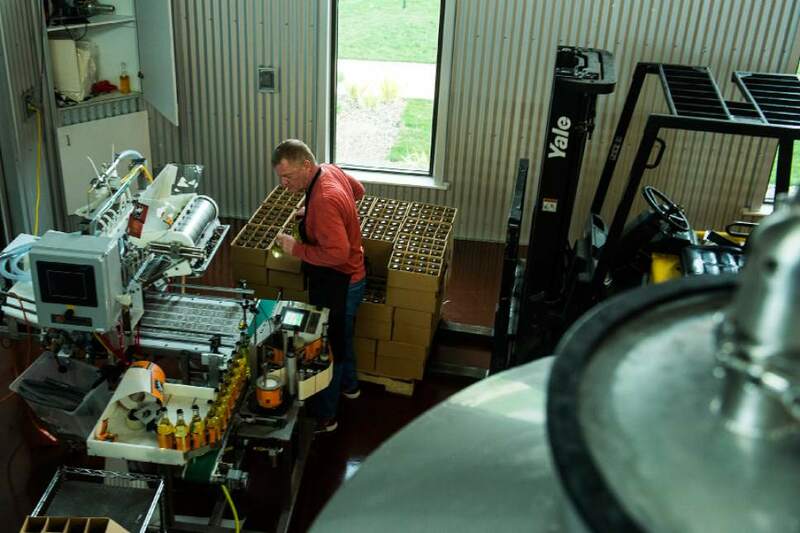 "It takes us more than $2 to make a bottle of our hard cider." Carleton argues that taxing cider the same as wine is unfair and outdated. He pointed to the 1997 Taxpayer Relief Act passed by Congress, which added a tax class for hard ciders. The federal rate is equal to the tax on beer produced by small brewers, he said. While the federal law passed a decade ago, Utah never updated state laws regarding hard cider, in part because there wasn&apos;t a Utah producer. That changed when Mountain West opened its Salt Lake City facility at 425 N. 400 West. Unless the state changes the law, Carleton said he has no choice but to keep his production under 20,000 gallons in Utah and build another production facility in Nevada. 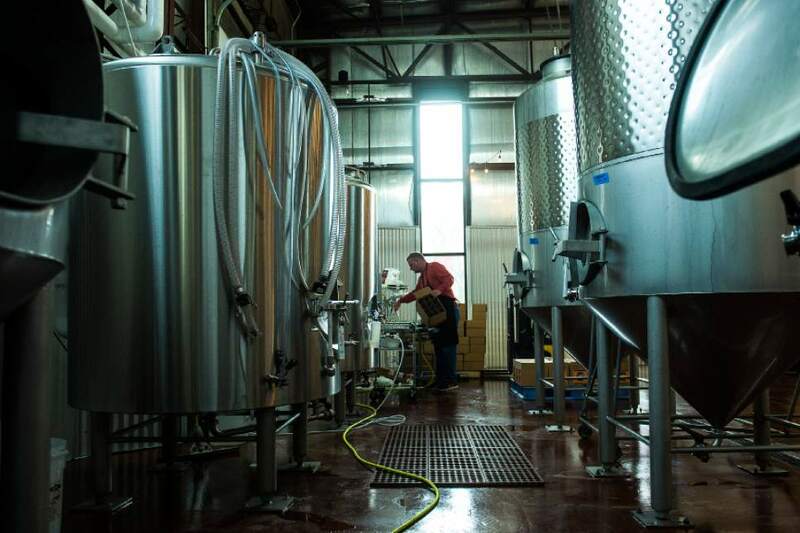 Hard cider produced at that facility would supply all Mountain West&apos;s new accounts in Colorado, Idaho, Nevada and Wyoming, he said. Carleton admits that the problem is due, in part, to Mountain West&apos;s rapid success. "We are growing much faster than we thought," he said. "I thought we had a couple years before this issue would come up." Carleton contacted Rep. Brad Wilson, R-Kaysville, and Sen. Jerry Stevenson, R-Layton, in the hopes a change could be included in HB442, a new alcohol reform bill passed by the Legislature and awaiting Gov. Gary Herbert&apos;s signature. "I&apos;m sympathetic," Wilson said in a telephone interview, noting that the issue "came up late in the process." "It&apos;s not one of the original issues that I wanted to tackle," Wilson said. "There were a string of people who would have liked to see things in the bill, but we only have so much time." Wilson said a tax change is a "big policy discussion" that should probably start with the DABC and its advisory committee. Carleton believes part of the reason lawmakers were hesitant is that many are nondrinkers and confuse hard cider with the flavored beer products sold in grocery stores, an issue that was included in this year&apos;s alcohol reform discussions. HB442 tightens the restrictions for beer displays in grocery and convenience stores, to prevent confusion between nonalcoholic beverages and flavored beers, which often have similar labeling. Mountain West&apos;s signature hard cider, called Ruby, is 6.8 percent ABV and is sold only at the state liquor stores and the business&apos;s production facility. Hard cider has a long history in America  it was consumed by the Pilgrims  and has characteristics of wine and beer. To make hard cider, apples are pressed to get juice, much like grapes are crushed for wine. Yeast is added for fermentation and the finished product is slightly effervescent, with golden hues reminiscent of beer. Carleton said many people even confuse hard cider for pressed apple juice sold at farmers&apos; markets. "We&apos;re not angry about the situation," he said, "we&apos;re just asking that we be treated fairly and given the same rate as other cider makers across the country."